Cottesloe car hire has been offering car hire in scarborough ever since its inception, supplying cheap car hire in scarborough to the many residents and holiday makers in the scarborough area. It’s no surprise that many of the hotels and resorts in scarborough recommend there customers to hire cars from cottesloe car hire since we provide great rates, friendly service and pick up and drop off to the scarborough hire car customers. 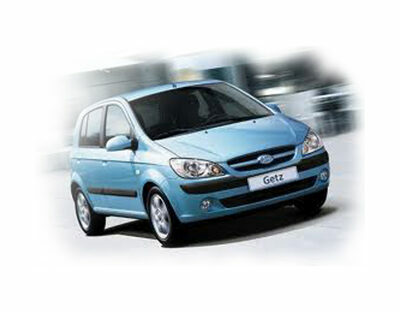 We will pick up any hire car customer from any accommodation in the scarborough area. We are typically running people too and from : scarborough rendevous, Indian ocean hotel, sea shells hotel, sunmoon resort scarborough . We also allow our scarborough hotel hire car customers too leave their rental cars at the hotel parker for us to collect usually the next day. Unfortunately Scarborough does not have the best access to public transport and so it is often a hike for hire car customers up that way to gain access to public transport to get too us, you would think that there would be a more direct bus route down the coast but alas there is not. Fortunately we do provide pick up and drop off for our Scarborough hire car customers, its just a matter of making arrangements with us too make sure where available to do the pick up or drop off. We also have very good working relationships with a lot of the accommodation in the Scarborough area, in particular the most significant and largest the hotel Rendezvous Scarborough. Hotel Rendezvous Scarborough : Should you be a customer at the rendezvous Scarborough seeking a hire car simply ask the concierge about us and they will happily arrange the hire vehicle for you pending you approval of the price (hire vehicles start from $25 per day for 7 days or more) . Assuming your are inquiring within business hours we will come up and collect you from the rendezvous hotel and bring you back to our office to complete the paperwork and payment. The trip is usually only 10 – 15 minutes if that since we are only a short drive down the coast from the rendezvous hotel. We will drop you back at the hotel after the hire as well assuming its within hours that work with us. You can also leave the rental car in the hotel car park. give the keys too the concierge or reception and we will come collect the vehicle usually the next day (this does not inccur another days hire or any fee’s) . Just make sure you make us aware that this is your intention. Our cheaper smaller cars start from $25 per day for 7 days or more (prices are subject to seasonal variation)and we offer long term discounts as well. So give us a call on 9383 3057 or use our online booking system and grab a great deal of a rental car.